Sophisticated Golfer was the first travel company to offer dynamic ‘best of’ Bermuda golf tours since 2005. Our Bermuda golf travel program is unsurpassed in the world of golf tourism. The best of Bermuda golf tours work best for parties 4 or 8 + golfers sharing transportation. Bermuda Golf courses available to play include; Port Royal, Tuckers Point, Mid Ocean Club, Belmont Hills, Riddell’s Bay, Turtle Hill. Begin your stay with arrival at Bermuda International and prepare for transfers to your resort of choice on the South Shore of Bermuda. Enjoy a greeting at the airport upon arrival by drivers arranging for private transfers. Check-in and begin your stay. Play Port Royal, Port Royal Country Club is a Robert Trent Jones, Sr. design and features some of the most picturesque and dramatic holes in golf, highlighted by the stunning par 3 16th. Port Royal Golf Course opened for play in 1970, and is more than adequate evidence of the genius of architect Robert Trent Jones. Port Royal was redesigned in 2009 and hosted the PGA Tour’s Grand Slam. Play Turtle Hill this morning at the Fairmont Southampton. This Scenic Par 3 is one of the finest par 3 courses anywhere in the world located at a landmark luxurious Bermuda resort. Typically under 3 hours to play all unique 18 holes it’s a great way to start your final day in Southampton. Check out of your accommodations after golf. Transfer northeast to Tuckers Point Resort where you will check in this afternoon after the 1 hour drive. Settle in at this 5 star luxury resort. Play Tuckers Point, Tucker’s Point golf club is perched on the site of the former Castle Harbour Course, Tucker’s Point Golf Club re-opened in 2002 after a re-design and re-planting of the greens with Tiff Eagle Bermuda Grass. Tuckers Point is located near Bermuda’s airport on the opposite end of the island from Port Royal. The golf course is further complimented by the adjoining luxury resort. Play Mid Ocean Club, Mid Ocean Club is perhaps Bermuda’s most famous golf course. Mid Ocean is a private course with limited access on Monday, Wednesday or Friday afternoons with this itinerary. Consistently ranked among the top 50 links in the world, Mid Ocean Club has hosted several world-class golf tournaments throughout its history it is 6,520 yards and Par is 71. 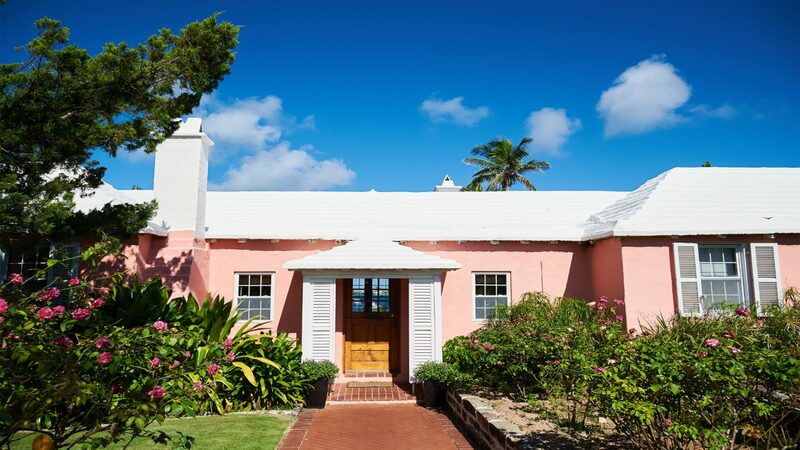 Check out of your accommodations at Tuckers Point Resort and bid Bermuda farewell. Transfers back to Bermuda International airport are provided just about 15 minutes away from Tuckers Point. Accommodations with our Best of Bermuda golf tours depend on your group’s requirements and budget. 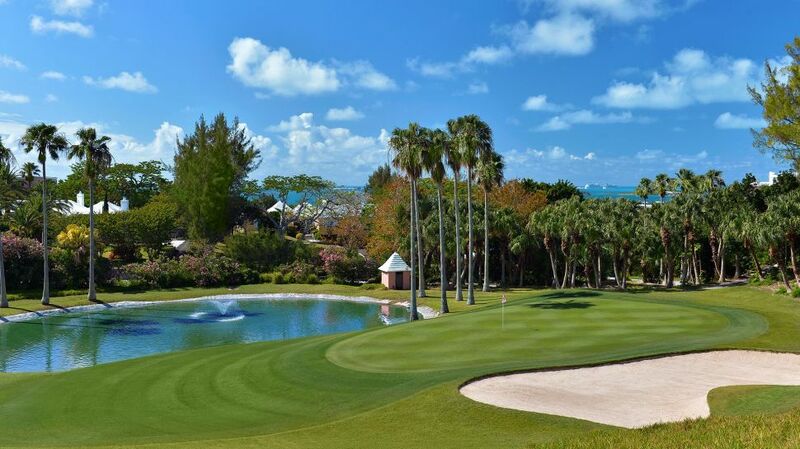 Sophisticated Golfer recommends the centrally located Fairmont Southampton which sets the standard on the island. You can also chose to stay downtown at the luxurious Fairmont Hamilton Princess newly redesigned in 2016. For the second half of your trip stay at the 5 star Tuckers Point or the ‘all inclusive’ Grotto Bay Resort while playing two of Bermuda’s best courses nearby. The Itinerary below is based on staying at the Fairmont Southampton and Tucker’s Point. Customs versions playing more golf are available, just a phone call away, 561-776-1771. All best of Bermuda golf packages can be fully customized. 6 and 8 night custom golf packages available.